It’s Bill Nye. 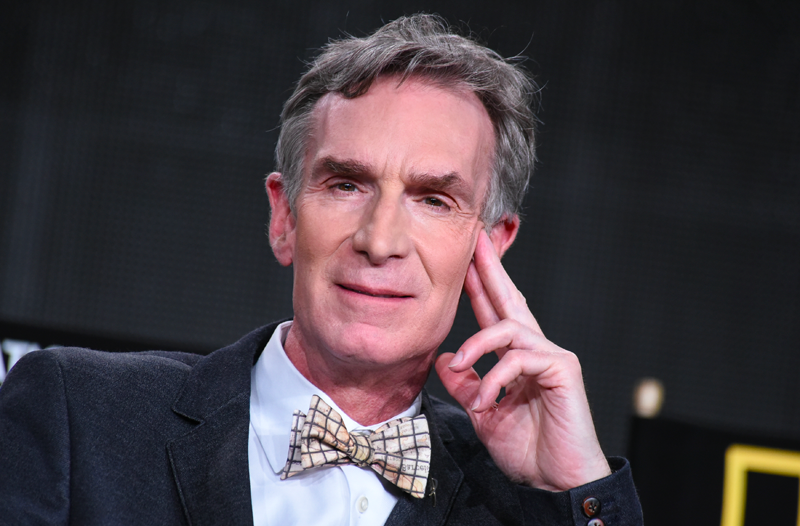 Bill Nye the Science Guy owns hundreds of goddamn bow ties. Or so the science educator claimed during a recent conversation with Vogue promoting his debut as a runway model for fashion designer Nick Graham. The Tuesday show, titled “Life on Mars: Fall-Winter 2035,” also featured astronaut Buzz Aldrin and some very shiny suits.